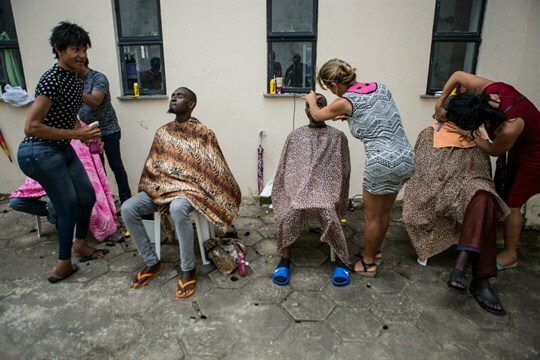 Senegalese migrants who traveled from Cape Verde to Brazil get haircuts before being immunized, Sao Luis, Brazil, May 29, 2018 (Photo by Walker Dawson). In this week’s Trend Lines podcast, WPR’s editor-in-chief, Judah Grunstein, and associate editor, Elliot Waldman, discuss the vacuum in global leadership at the G-20 summit and beyond. For the Report, Luisa Feline Freier talks with WPR’s senior editor, Robbie Corey-Boulet, about a new destination for African migrants: Latin America, where they are arriving in increasing numbers—and facing familiar challenges.